Aspens in the Bay Area? Somewhat in keeping with snow on Mt. Diablo, not really the popular image of our area, but there they are. According to Sunset, P. tremuloides ‘generally performs poorly or grows slowly in lowlands; usually short lived in warmer climates.” The ones at the Tilden botanic garden seem to be doing well, though it’s true they aren’t large and did probably grow slowly. They were definitely one of the most beautiful things in the garden when I stopped off on my way home the other day. We get asked about aspens sometimes and have always advised people to plant birches instead, but clearly aspens can work, so maybe we need to modify that advice. 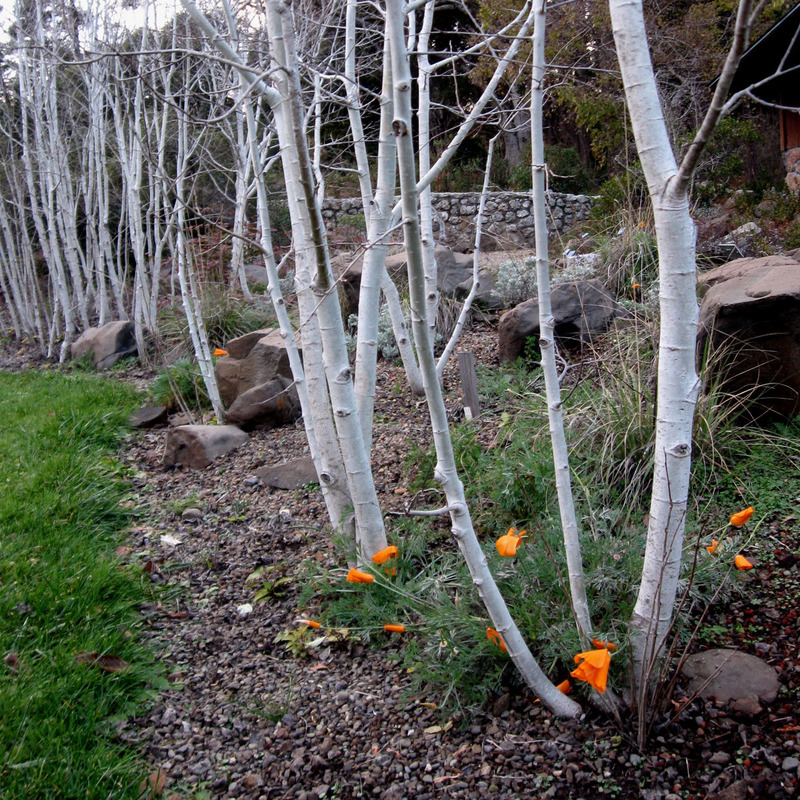 The bot garden is in a cool micro-climate (small valley surrounded by hills) and there was ice on the lawn and on a few of the plants, so that might be helping these aspens. Next year I need to remember to stop off and see their fall color. This has been a good year for fall color in the Bay Area, so they were probably beautiful. Sunset also says aspens make a ‘good background tree for native shrubs and wildflowers.’ Indeed. I like how the redtwig dogwood and the aspens are both somewhat see-through, and how the colors are so strongly contrasting even as the upright forms are so similar. We’ve planted redtwigs against a light-colored wall a few times, and last week we planted a yellowtwig dogwood against a brick chimney. The line of aspens is just as architectural and works just as well for a backdrop. One of my reasons for stopping at Tilden was to look at native plants in the winter and see what was blooming in December (Answer: not much, a few late blooms amongst the deadheads on some buckwheat and erigeron species, two raggedy grindelias still blooming, a few stray off-season blooms, and about one fifth or one quarter of the manzanita species.). We talk to a lot of people who think natives only look good for about half of the year and sometimes I find myself believing that a bit, too, so it was good to walk around and see which plantings looked good and which ones would look ratty to that percentage of the population out there who are skeptical of natives. A lot of the garden and a lot of the plants were looking really beautiful, even though it was a gray day right after a cold storm. The rainforest section was looking great (though it was too dark under the canopy to take photos) but I don’t think there’s much debate about how great the woodland natives can look. Probably the biggest problem for northern California natives is just that many people don’t think of them as California natives, instead mentally classifying them as Washington/Oregon natives. 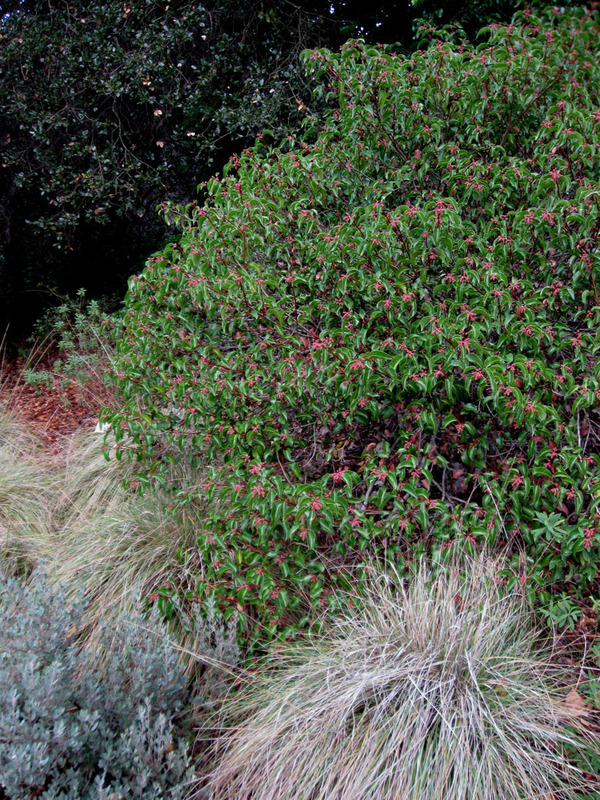 I think that when many people say they don’t like natives, they have a mental image of California fuchsia in winter, and when other people say they love natives, they have an image of Cal fuchsia in summer. This is a successful planting to my eyes, but this look seems like an example of what makes some people hostile to natives, a wild-looking plant in a rather wild-looking planting. It also seems to reflect the established popular image of a ‘native planting,’ even though natives can be used in so many other ways and to create so many different looks. I’ll try to return and take a photo from this same spot when the Cal fuchsias are blooming, because they are really pretty in bloom. The buckwheats, another species not known to shine in the winter, looked good in some plantings and not so good in others. 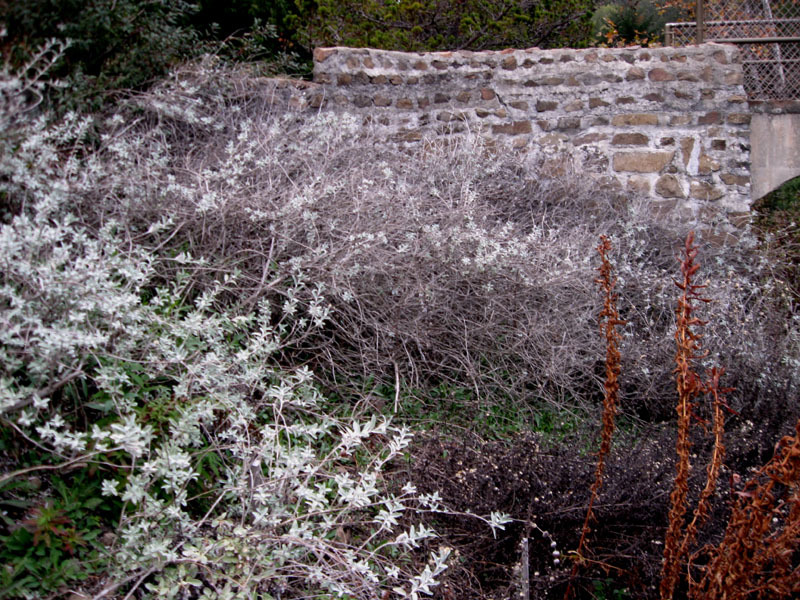 The Coastal Bluff section has a strong design, so the prominent buckwheat in the planting also looked fine and the planting would still look fine even if the buckwheat were replaced with a dying-back Cal fuchsia. 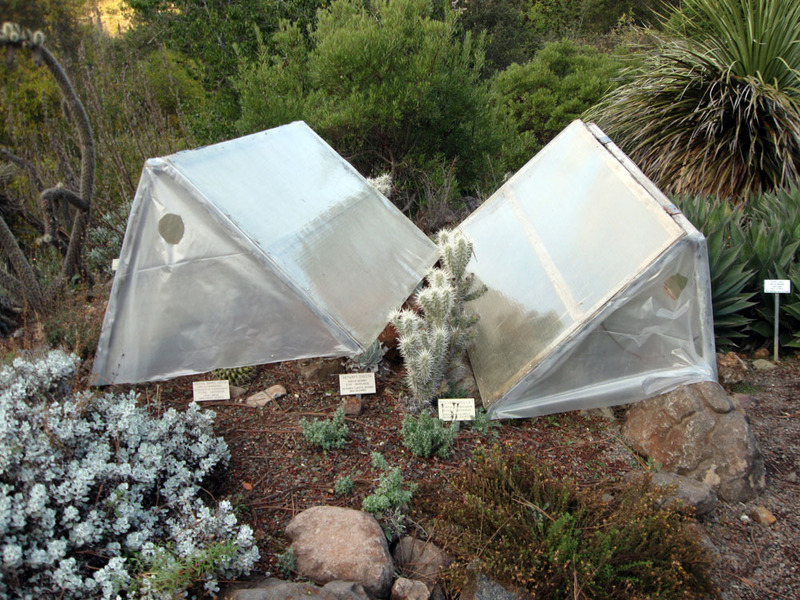 The desert section had some cold-frames out in the southern California desert sections. 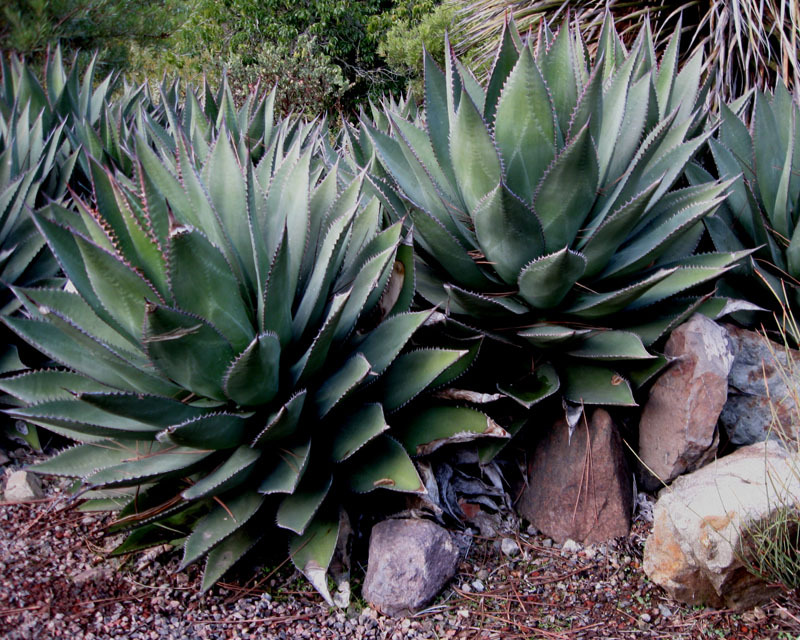 There’s no question about Agave shawii looking good in the winter. They’re really a Baja native that had a few populations on our side of the border, but those populations have been displaced and now might only exist as revegetation plantings. San Marcos Growers says they’re growing it, so it might start showing up in nurseries more often. Apparently, it’s really slow from seed. The ninebark thicket (Physocarpus capitatus) reminds me of a crustacean, either a limpet or maybe a barnacle. I doubt this is going to inspire many people to plant ninebarks or shear them into a limpet shape, but it’s actually being used pretty well here, an effective way to make a certain type of habitat plant look intentional and not too wild. And I bet the birds love it. It looks better than the Salvia leucophylla, which is generally considered more garden worthy but was looking just as deciduous and thickety as the ninebark. 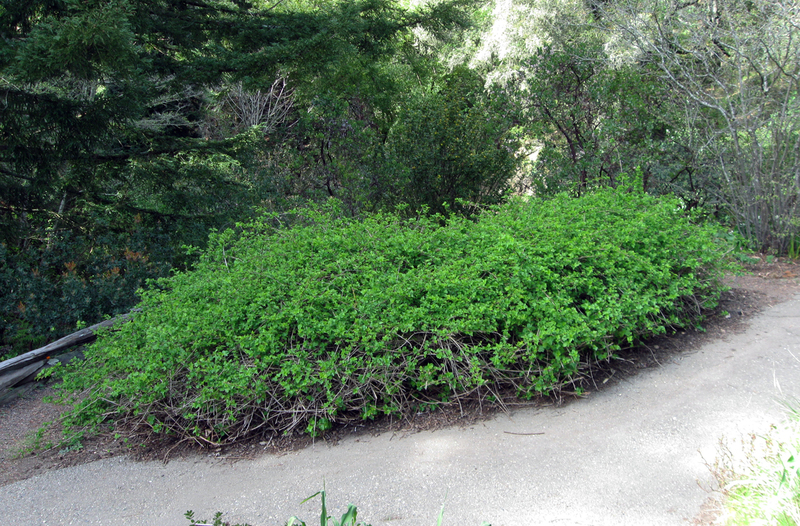 In fairness, the S. leucophylla is planted in a tough spot, up against a bridge on a steep slope leading down into a creek. 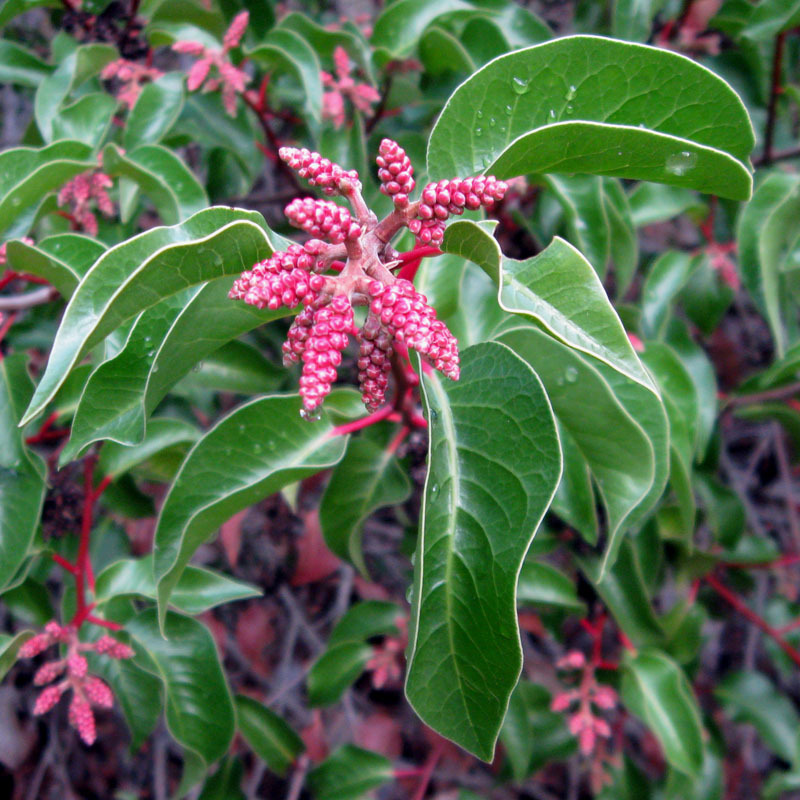 I just planted Rhus ovata (Sugarbush, an evergreen sumac) for the first time, three of them at my parents’ house. The Watershed Nursery has had a supply recently, one of the first times I’ve seen them available. ( — edit — my bad, I realized that I planted the other evergreen sumac, Rhus integrifolia.) Hopefully the ones I planted will look as good as they do here. I like the flower buds as much as I like their little white flowers. This one here looks ready to do a huge bloom in February or March, that time of year when even the native skeptics agree that California natives look beautiful. Update — And here is a March photo of that ninebark thicket in leaf. Still not the most ornamental plant in the garden, but not too bad. This entry was posted on Friday, December 11th, 2009 at 4:08 pm and is filed under california natives, plants, public gardens, tilden. You can follow any responses to this entry through the RSS 2.0 feed. You can leave a response, or trackback from your own site. 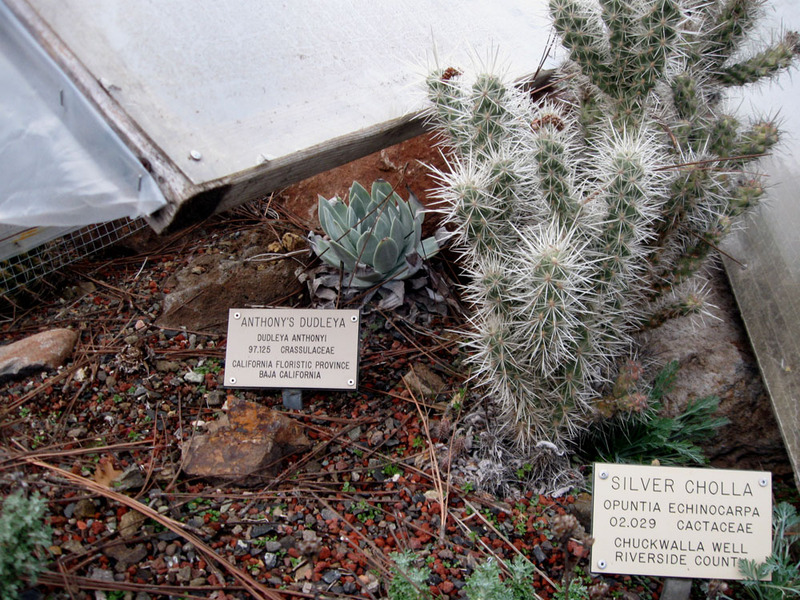 What an interesting tour of CA natives in their winter colors. I’m surprised to see many of the same plants native to here in upstate NY–the ninebark and red twig dogwood, in particular, and wonder if they are the same species. Your pictures of the redtwigs with the aspens behind is stunning. (and can someone please come build me that stone staircase? We have just the spot…) I linked here from Lost in the Landscape–you have a wonderful blog. Thanks. Your blog has some nice photos of California natives, too, even though your garden is in New York. I think you have a different ninebark in New York. We have 2 in California to my knowledge, and they are both only in western states, west of the plains I think. This one is P. capitatus, which is pretty variable. 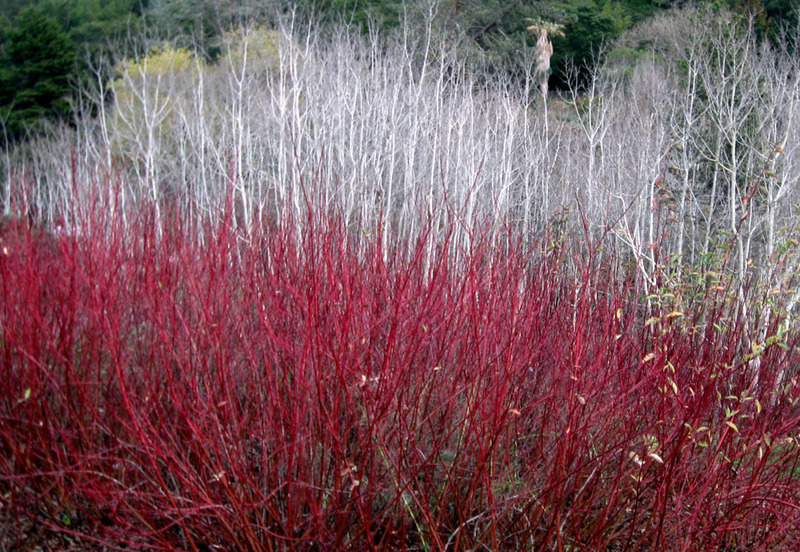 I think the redtwig dogwoods are the same. Ditto from me about loving the aspens and red dogwoods. Their similar textures but contrasting colors are terrific. It’s nice to see Shaw’s agaves up there. 13 of the 15 documented locations in California are in my county, but it’s still an awfully rare day when you see one when you’re out on a walk. The sugarbush looks great, definitely not one of the gray thickets. But even the gray thickets could be an interesting effect giving the same color and texture of the bare aspens. Such beautiful photos especially the redtwigs with the Aspen background, really stunning. Interesting about people’s perceptions of native plantings. 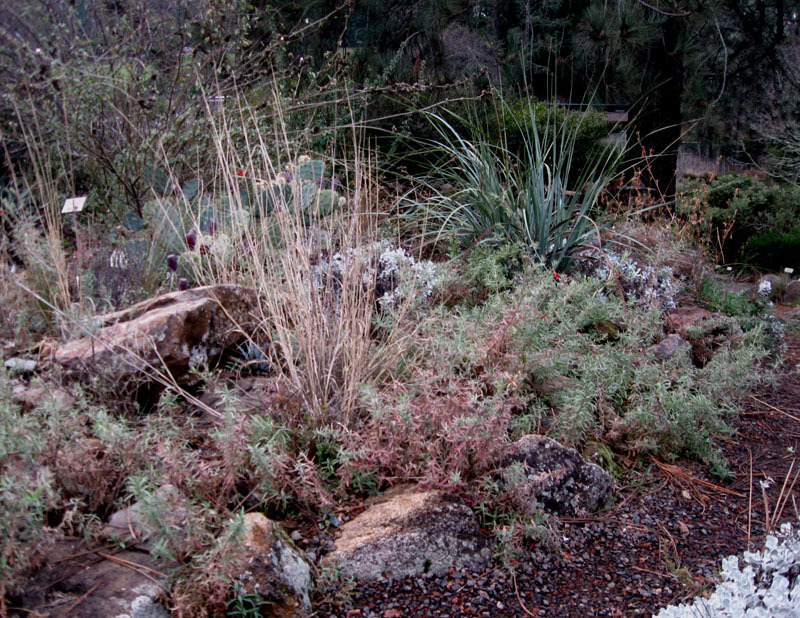 I just finished a drought tolerant design with a mix of natives & compatibles. The architectural committee thought was afraid that it might look TOO drought tolerant. I argued my point & design idea successfully & they are stamping approval on the plans. Hopefully it changes their thinking just a little once they see it installed. What a great tour! I just cut almost all my CA fuchsia down to 1 inch today, a fun thing to do in the rain. Left a few that still have blossoms for the hummingbirds. That photo of the aspens and redtwigs is amazing! 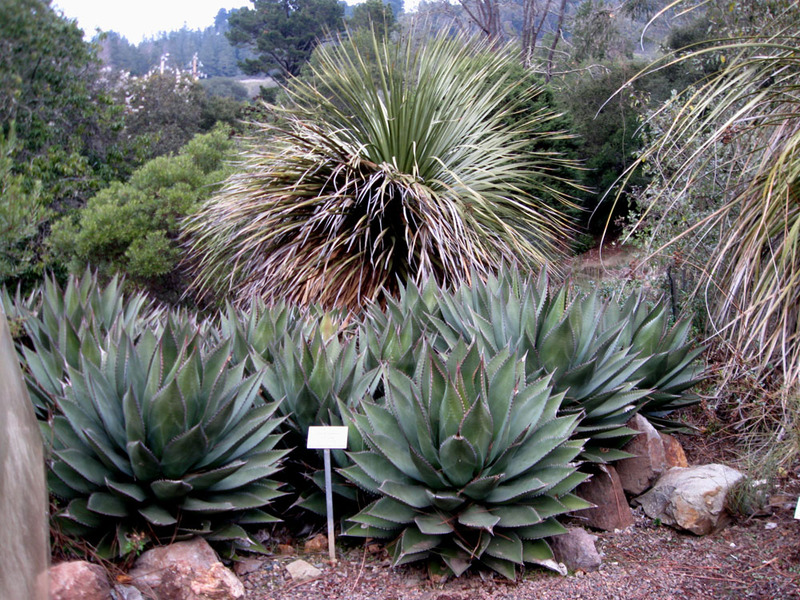 J – The Shaw’s agave populations would be in your area. I’ve never seen them outside of a bot garden. They’re great. S – We run into a lot of that when we talk to clients and potential clients. I find that if a planting doesn’t look TOO drought tolerant to people, then they don’t even realize that it is drought tolerant, if it doesn’t look TOO native, then they don’t realize it’s planted with natives. I guess that means we should put signs on our gardens or force people to go to botanic gardens or something. 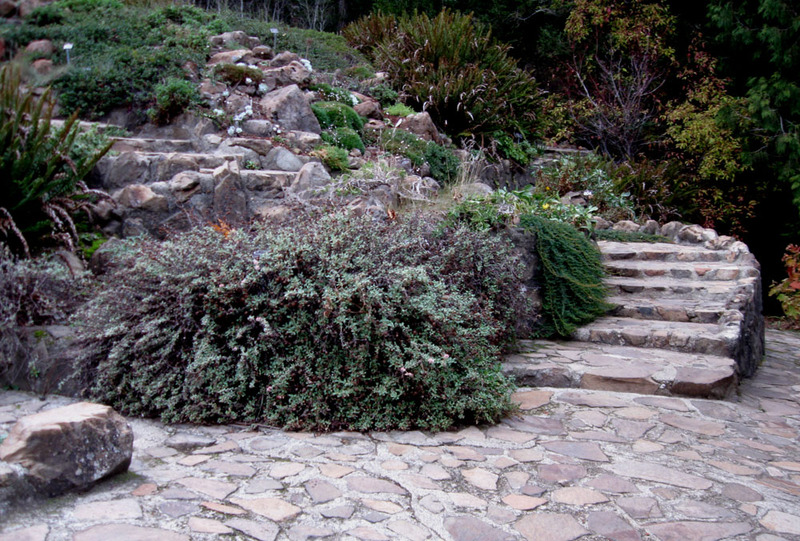 TM – I’ve been treating the rain as a nice break from gardening, but it’s time to cut my Cal fuchsia, too. 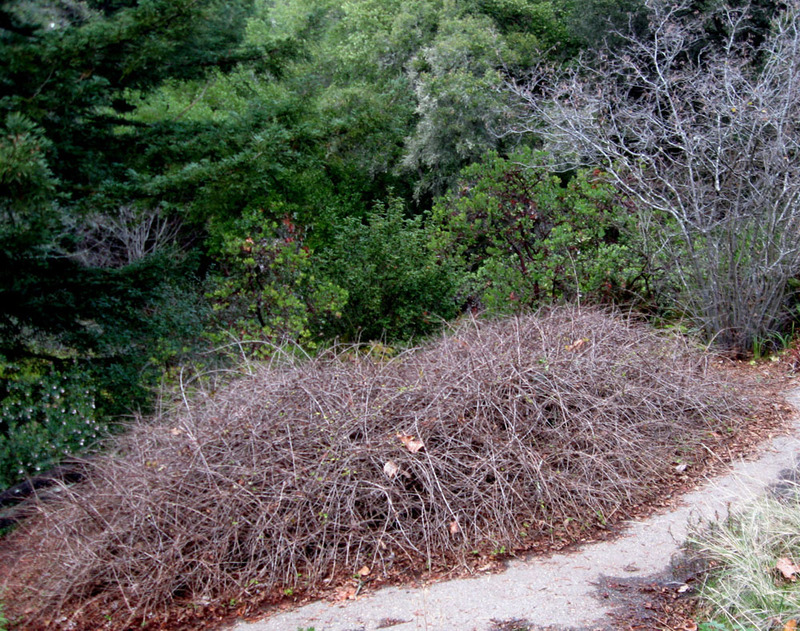 They’re looking more like a tumbleweed than the ones at Tilden. Hi Ryan, the aspens look healthy and appropriate to the place, even if they are still young. What a creative combo with the redtwigs, and the yellowtwig with a brick chimney sounds wonderful. The frontage and sides of our property was lined with a row of decaying aspens when we bought it. They all had to come out, completely hollow inside but still leafing out. A most beautiful tree. Our hot summers must have been bad for them. The natives you show all look quite beautiful. Sometimes I think it is our job to teach others to see the beauty in something past its prime, in plants and humans. We have been trained to only prize youth. That’s a good way of putting it, to teach others to see the beauty. Good teaching requires engagement from the students, rather than just dictation from the teacher I’ve found, that I can’t just get up and say, ‘this is how it is, you will appreciate plant die-back.’ When I’m front of a class, I have to coax the students into seeing things my way, then let them see things their own way. 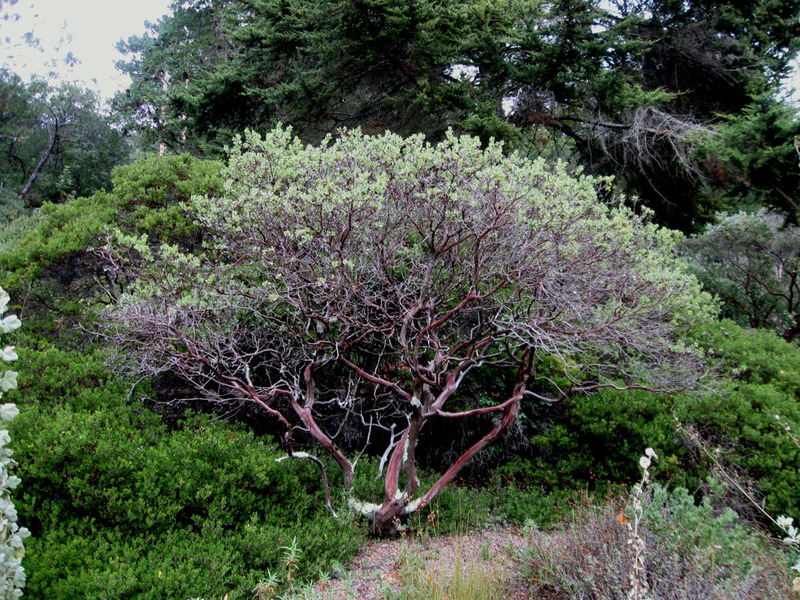 Redtwigs are great, because they are one of the plants that are unquestionably at their best when they are leafless, a concept that sometimes seems paradoxical here in California. It’s a big task, to try and modify the way non-gardeners look at plants and the landscape. I have to concur with everybody above, the aspens with redtwig dogwoods are stunning. I also just cut back my CA fuchsias. My housemate asked me to do it a few weeks ago citing some of his friends as saying “Well that’s what CA natives look like, all ratty.” Of course they seem to have not noticed them carrying the whole yard in August and September. I didn’t cut them then though because they still had blooms and visits from our hummingbird and I decided the hummingbird’s happiness took precedence over some people who can’t appreciate a garden or plant as a whole. That’s a good point, the hummingbirds should get a vote. Hummingbirds and non-gardeners would probably like Cal fuchsia if it bloomed all year round, but then I’d probably start to think of it like it was agapanthus or potato bush. I’ve caught a few ‘natives are ratty’ comments recently, but it definitely wasn’t true of a lot of the plantings in Tilden. 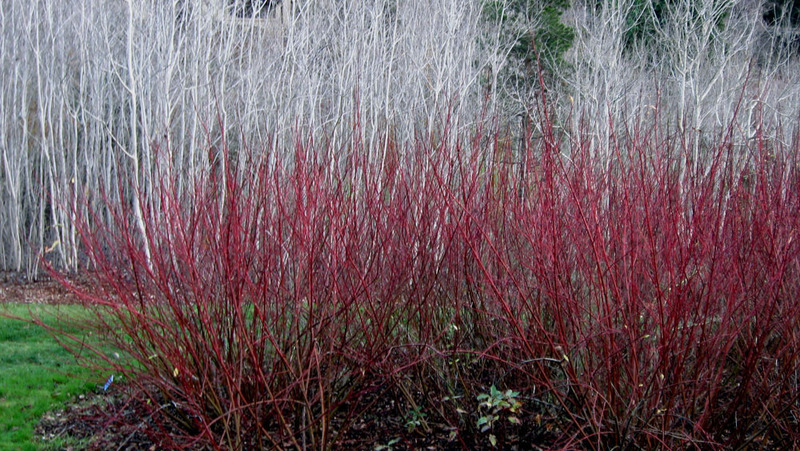 Redtwig Dogwoods with Aspens is my favourite picture! Stunning. No doubt!